Every aspect of the La Palina Cigar Company reflects proprietor, William C. Paley’s style, family tradition and taste. Like the original, La Palina Black label features an exquisite band and art deco box with an original etching of Bill’s grandmother, Goldie Drell Paley. Mrs. Paley was born in Russia, and came to the United States as a child. In 1898 she married Samuel Paley, a cigar industrialist and philanthropist. She died in 1977. Her son William S. Paley established an art and cultural center for youth in honor of his mother in eastern Jerusalem, the Paley Youth serves as a cultural center offering young people facilities for studying art. 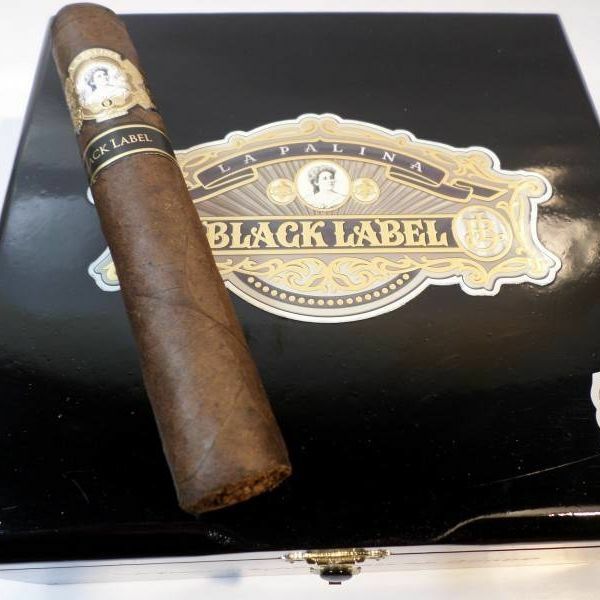 La Palina Black Label features a Dominican and Nicaraguan binder and fillers sheathed in an oily coffee brown Brazilian wrapper. The remarkable blend creates flavors of spice, cocoa, red pepper and black licorice. Black Label is a full-bodied powerhouse that remains balanced and ultra-smooth throughout the entire cigar smoking experience. The bold, warm La Palina black Label is the perfect go to cigar for the coldest winter nights. On a rare night home alone I cozied by the fireplace and paired a smoky Malbec from Mendoza, Argentina and a Black Label for maximum mellowing. Catena Malbec 2013 from this region is full of black cherry and violet bouquets. It’s lush, fresh, pleasant and very easy to drink. 2013 might be one of the best vintages of this Argentinian Malbec. A sheer delight with the La Palina Black!